August | 2014 | Wedding apparel and Party ! America, with its glamorous image of cowboys and rock stars, gave jeans to the world, but now denim is suffering from the blues. Domestic sales of jeans dropped 6 percent last year, worrying some manufacturers and prompting VF Corp, the maker of Wrangler and Lee brand jeans to set up a think-tank to come up with other ways of using the distinctive and hard-wearing dyed blue cotton twill. Thirty years ago, actress Brooke Shields famously said nothing came between her and her Calvin Klein jeans. Nowadays, young women can’t seem to get far enough away from denim and even guys are forsaking the pants that became the uniform of several post-war generations. Even Levi Strauss & Co, a name synonymous with jeans, is struggling, with second-quarter revenue dropping 2 percent from last year and net profit falling a whopping 76 percent because of falling sales in the U.S. It also cut 800 jobs — 20 percent of its non-retail and non-factory positions — as part of a plan to save up to $200 million a year. A growing trend in casual wear is all about comfort, and denim is struggling to find its place. Retail and fashion experts alike are not afraid to admit the new look, coined “athleisure,” is all the rage from teens turning to leggings instead of jeans and moms sporting their yoga-wear everywhere and all day long. “A 6-percent drop may not seem like much, but it’s rare for denim to take such a dramatic drop. It’s a commodity business, we buy it and replenish it all the time,” said Marshal Cohen, chief industry analyst of The NPD Group. VF Corp has noted the decline, with Scott Baxter who heads the company’s jeanswear business, recently saying that its Lee brand, with a 60:40 ratio of women-to-men sales suffered a decline of about 15 percent in the United States. Interestingly, Wrangler, with only 20 percent of revenue coming from the women’s category, saw a single-digit increase in the Americas. To combat the denim doldrums, VF Corp said it will soon open a “global denim innovation center,” but declined to give further details. VF Corp isn’t the only retailer feeling the hurt. Piper Jaffray’s biannual “Taking Stock of Teens” survey shows over the last two years teen girls’ brand preferences have moved away from denim names like Levi’s, Guess, and American Eagle toward athletic names like Nike, Lululemon, Athleta, Urban Outfitters and Victoria’s Secret. Affluent teens surveyed by Piper Jaffray listed leggings/Lululemon as the top fashion trend for two seasons in a row. Part of the blame for the denim doldrums, according to Piper Jaffray’, is the lack of “fashion newness” in the market and the innovation of fabric technology in recent years. That innovation is now driving jeans companies to diversify in order to stay current with the consumer. Joe’s Jeans is turning to “alternative fabrication” and will be introducing several non-denim programs for the fall to include leggings made with “innovative textiles.” The company said in July it recognizes leggings as one of the fastest-growing segments in the market. The Gap, which may be bucking the trend through its sportswear retailer Athleta, told CNBC the denim fatigue fad is not new. “Fashion denim is cyclical. Currently, mid- and high-waist denim styles are trending, in addition to soft pants. Denim is still a dominant category for us at Gap and Old Navy, and we are committed to continuous innovation,” said spokeswoman Edie Kissko. But the NPD Group’s Cohen begs to differ, saying the risk for retailers is that the “athleisure” love affair could have a lasting effect. I have seen Beyoncé’s HBO documentary, Life Is But a Dream, a startling number of times. There are so many parts I like: When Beyoncé brings her computer into an elevator and films herself in the elevator. When Beyoncé talks to a mysterious man off-camera who is wearing glasses. When Beyoncé says, “Life is but a dream!” to Jay-Z and Feist is playing in the background. I could go on. But my favorite part of all is when Beyoncé prepares for her performance at the 2011 Billboard Music Awards. At first, it looks like the whole thing is going to be a disaster. The rehearsal space gets screwed up. The special effects guys are worried about the army of digital Beyoncés they are making out of computers. Beyoncé has to coordinate her dancing with the digital Beyoncés, which is difficult. Finally, Beyoncé does a video diary. Only one eye is shown on-camera, and the other eye is off-camera for some reason. Beyoncé talks about throwing in the towel and giving up. She can accept defeat when she is defeated, she says. You think it’s all over. Then the next scene is the best performance I have ever seen a human do. I cried. This is the thing about Beyoncé: She is truly incredible. She’s insanely talented, she has the best baby I’ve ever seen, and she gives performances normal people couldn’t ever do even with ten years of rehearsal time. Naturally, her fitness and dieting regimens are things mere mortals can barely contemplate. As a professional dieter, I had to do her various diets before I died. But would my attempting Beyoncé’s lifestyle be a hard-luck story that ultimately paid off with amazing success, like Beyoncé at the Billboard Music awards? Or just a regular hard luck story, which usually ends in failure? I have decided to do the entire range of Beyoncé’s diets. I will endure the Master Cleanse that Beyoncé endured when she lost weight for Dreamgirls; I will attempt the herculean diet Beyoncé used to lose weight after birthing Blue Ivy. I will subject myself to Beyoncé’s daily fitness and nutritional travails. I mean, this is a woman who, in 2005, hired someone to film her for sixteen hours a day: She knows how to look good. Beyoncé was apparently inspired by Tom Hanks in Castaway when she decided to lose twenty pounds for her part in Dreamgirls. To do it, she decided to use the master cleanse, a diet first developed in the forties that involves drinking only lemonade made out of cayenne pepper, lemons, and grade B maple syrup (do NOT get grade A, in the Lord’s name) nine times a day. You can’t eat food. You also have to consume something called the Salt Water Flush (salt water that you drink while looking at yourself in the mirror, according to a forum on the subject) that is supposed to “help” your digestive tract. Now, as a veteran dieter, I have done the master cleanse before. Of course I have! It was all the rage in 2006 because of Beyoncé. I have to say, the first time I tried it, I did not love it. I only lasted a day or two. One of my big problems was that I didn’t understand the salt water flush. This time, however, in the name of journalistic integrity, I decided I would try the master cleanse in a real way. Just like Tom Hanks in Castaway. So, bright and early on a spectacularly gray Monday, I got all the ingredients at the grocery store and set about making my lemonade. It was hard to squeeze the lemons by hand (I have very weak arms), but the lemonade itself was not bad. It tasted like a spicier version of regular lemonade. For the first couple of hours I was on the diet, it was fine. The spiciness of the lemonade mitigated my hunger throughout the morning. By 3 p.m., however, I started to feel hunger. It is hard to have lemonade for dinner. I don’t recommend it. Later, I went to a vaudevillian revue in a basement. While I was watching a man put on a surgical gown and sing a humorous song about being a doctor, I thought about how Beyoncé said she felt “cranky” on the master cleanse because other people on the Dreamgirls set were eating Krispy Kremes near her. The one good thing about this vaudeville revue was that they didn’t serve Krispy Kremes at all, just Shirley Temples with vodka in them. But even those were making me so hungry I eventually had to leave. The next day, however, something odd happened. I was way less hungry than I was the day before. I actually looked forward my spicy lemonade, as if it were an old friend. I didn’t even really care when people ate food near me. Had the master cleanse rid me of the need for solid food? It was a question. I was moving out of my tiny midtown garret (to a location unknown! I still do not have an apartment), but this did not stop me from master cleansing. At this point, I had completely conquered hunger. I felt like an 11-year-old Beyoncé running a punishing rehearsal with an early version of Destiny’s Child. I didn’t even want solid food. I offered my movers master cleanse, but they said no. I went to Dunkin’ Donuts to get doughnuts for the movers and I forced myself to have a tiny side of a donut. It was actually a little scary? I had lost four pounds in the space of three days. Off the master cleanse, but still not hungry particularly, I decided to embark on Beyoncé’s cheat day. Apparently once a week, Beyoncé consumes “pizza and wine.” In solidarity with B, I decided to have that exact same meal. I regained my appetite after eating the first piece of pizza. I ended up eating four pieces. Beyoncé has a very extensive tour rider. One time, she requested red toilet paper. She also asks for “oat cakes,” which resemble a dry tea biscuit in which oats play a prominent role. While apple picking with my friends in upstate New York, I noshed on the aforementioned oat cakes while my friends ate delicious bread and cheese. Oat cakes aren’t bad, but they are not very filling in comparison. Later, my friends took several photos of me eating an apple and put them on Instagram. If I had been Beyoncé, I would have demanded they take them down, but as it is I was too scared. For the next two days, I am doing what is probably the hardest part of all Beyoncé’s diets: the post-pregnancy eating plan that allowed her to lose 60 pounds in three months. This particular diet is very rich in protein, like most good diets in vogue today. You start the day with egg whites, consume slices of turkey with capers for lunch, eat cucumbers with vinegar and lemon for snacks, and finish the day with yellowtail sashimi with jalapeños and wasabi. Sometimes you are allowed to have frozen yogurt. I have to say, the actual food on this diet was not terrible. It was sparse, yes, but flavorful. If I was not slowly going broke from ordering all that yellowtail sashimi at my local sushi place, it would generally be fine. The real hardship of this particular regimen was the exercise. Beyoncé worked out for two hours a day to get rid of the baby weight and it is hard for a working woman with a busy schedule of going to vaudeville revues to find the time for that. I usually ended up splitting the workouts into an hour-long strength training routine and an hour-long run. It was Beyoncé’s music that got me through it. I kept listening to the song “Run the World (Girls),” but in my head I changed the lyrics to keep me motivated. “If women really ran the world (Girls!) I would not be running for two hours. Lol! They don’t run anything!” Har Har har. Whatever, working out for two hours is lonely. Today, I ate the “Sasha Salad,” a favorite salad of Beyoncé’s, based, I imagine, on her former alter ego, Sasha Fierce (Beyoncé eventually killed her). It is a chicken salad with jalapeños in it. It’s okay. For research, I looked up “Sasha Fierce” on Wiki Answers, and they define her as as a “sociable” twenties singer famous for “curing the Great Dpression [sic] in America” and working at the Post Office. Auto theft isn’t much of a problem anymore in New York City. In 1990, the city had 147,000 reported auto thefts, one for every 50 residents; last year, there were just 7,400, or one per 1,100. That’s a 96 percent drop in the rate of car theft. So, why did this happen? All crime has fallen, nationally and especially in New York. But there has also been a big shift in the economics of auto theft: Stealing cars is harder than it used to be, less lucrative and more likely to land you in jail. As such, people have found other things to do. The most important factor is a technological advance: engine immobilizer systems, adopted by manufacturers in the late 1990s and early 2000s. These make it essentially impossible to start a car without the ignition key, which contains a microchip uniquely programmed by the dealer to match the car. Criminals generally have not been able to circumvent the technology or make counterfeit keys. “It’s very difficult; not just your average perpetrator on the street is going to be able to steal those cars,” said Capt. John Boller, who leads the New York Police Department’s auto crime division. Instead, criminals have stuck to stealing older cars. You can see this in the pattern of thefts of America’s most stolen car, the Honda Accord. About 54,000 Accords were stolen in 2013, 84 percent of them from model years 1997 or earlier, according to data from the National Insurance Crime Bureau, a trade group for auto insurers and lenders. Not coincidentally, Accords started to be sold with immobilizers in the 1998 model year. The Honda Civic, America’s second-most stolen car, shows a similar pattern before and after it got immobilizer technology for model year 2001. Old cars are easier to steal, and there are plenty of them still on the road. But there’s an obvious problem with stealing them: They’re not worth very much. Cars are typically stolen for parts, and as a car gets older, its parts become less valuable. In New York, thieves often take old stolen cars to salvage yards, selling them for scrap for just hundreds of dollars. As The Times reported in April, they’re helped by a New York State law that allows a car to be scrapped without its title if it is more than eight years old and worth less than $1,250. But in addition to not being very lucrative, that approach has gotten harder to get away with. According to Captain Boller, faster tracking through the National Motor Vehicle Title Information System has helped the city quickly identify stolen cars sold to salvage yards. Because you must present a photo I.D. to scrap a car without a title, the city has had success tracking down and arresting the sellers. With fewer valuable stolen cars coming in, it has become less appealing to operate an illegal chop shop. And the decline in thefts has freed up the 85 detectives and supervisors of New York’s auto crime division to focus on stopping organized car theft rings, the sorts of operations that actually have the ability to make coded keys for newer cars. “Our main goal is to get criminal enterprise charges on these groups,” Captain Boller said of sending the groups’ members to prison with longer sentences than apply to auto theft alone. Similar efforts by law enforcement in other jurisdictions have cut into auto theft nationally, according to Roger Morris, the vice president of the National Insurance Crime Bureau. “You saw a dramatic impact on the professional car theft rings, the chop shops and all that,” he said. But while auto theft has been greatly reduced in New York, the national decline (62 percent) has not been as drastic. Shortly after Adams & Co. closed a lease renewal last week for one of its 60 children clothier tenants at Arcade Building Associates’ 34 West 33rd Street, also known as the “Children’s Wear Center,” Adams & Co. principal David Levy and broker Brett Maslin invited Commercial Observer for an exclusive tour. Kids fashion design companies lease space at the 12-story structure in order to showcase their designs to prospective retailers under one roof, utilizing a building that’s not well-shaped for traditional offices by employing a familiar Garment District strategy a few blocks south of the area’s traditional home. The designers who lease spaces ranging from 500 square feet to 17,000 square feet include makers of pint-sized backpacks, belts, glasses, jewelry, hats, umbrellas, socks and underwear, among many other products, according to a convenient building navigation screen in the lobby. Adams & Co. converted the building to all children’s fashion tenants nine years ago to make the best use of the building and it’s currently fully leased at starting asking rents of $46 per square foot, Mr. Levy said. But it works great for clothing sellers like Stephanie Fishman, who says she moved to the building from a different area children’s wear building roughly eight years ago because she wanted a more modern space. Her showroom features the Appaman label that’s been spotted on child celebs and attracts couture-driven parents from racks at Bloomingdale’s, Barney’s and other big-name outlets and boutiques and the girls-only Pink Chicken brand that’s in evidence at eponymous shops, independent stores and national catalogues. Ms. Fishman and some other merchants at the building are coordinating a week-long event this week called “New York Kids Market,” which will ply prospective buyers with hors d’oeuvres while pitching the clothing of the center. But the sellers just down the block at the 10 West 33rd Street “Fashion Accessories Center” were hosting their own event last week, and the building hummed with buyers examining wares. Adams & Co. also operates Menswear specialty buildings at 42 West 39th Street and 1071 Avenue of the Americas and a Halloween specialty building at 1115 Broadway, company officials said. When Los Angeles-based costume designer Marcy Froehlich went on a three-month search for a kilt maker to design and produce knee-length garments for the Music Circus’ production of “Brigadoon,” she was looking for a person with a high regard for authenticity and creativity. Interestingly, she found that person in Sacramento. “I wanted the kilt to be as beautiful as the dancer,” said Froehlich, now in her 10th season with the Music Circus. “If I couldn’t find someone (in Los Angeles), I was going to find somebody in Scotland to make them for me. (But) Sacramento? That’s where the show is being done. Froehlich tapped internationally renowned kilt maker Josh Brown, founder and owner of Skye Highland Outfitters, a Scottish kilt and accessory store in East Sacramento, to make 14 kilts that will be worn by the male performers of the Lerner and Loewe Broadway musical, which runs Tuesday through Sunday at the Wells Fargo Pavilion. Directed by Glenn Casale, “Brigadoon” transports audiences to the Scottish hills where two New Yorkers – Tommy Albright and Jeff Douglas – happen upon a quaint and remote village that appears for one day every 100 years. When Albright and Douglas notice the residents are strangely dressed and speak as if from another era, they realize they have time warped to a mystical place with 18th century customs. Romance takes center stage when Albright falls for Brigadoon resident Fiona MacLaren, but he isn’t sure he can leave his modern existence and commit to a life in the village. While the musical explores themes of love, faith and the power of miracles, Froehlich believes “Brigadoon” also contains a subtle reference to a dark period in Scottish history. Froehlich is alluding to the Battle of Culloden, a bloody confrontation with British forces that occurred in 1746 – the same year the fictional and magical Scottish town of Brigadoon became enchanted and thus saved from the evils of the outside world. But for Brown, who is of Scottish decent on his mother side, “Brigadoon,” a musical he grew up with as a child, is mostly a fun, escapist story that many Scots hold dear. The kilts used in the production, Brown said, convey the time period of the mid-1800s. One of the most traditional patterns for Scottish kilts is tartan, which consists of vertical and horizontal stripes in multiple colors that act as identifiers for a family or a region in Scotland. Brown said he sourced the kilt material from Lochcarron of Scotland, a manufacturer of tartan and other fabrics. Because kilts don’t carry any pockets, Brown was responsible for making and designing the sporran, a small pouch worn around the waist. The most challenging part of kilt making, Brown said, is matching the measurements to the performer’s body. Brown, 44, learned about kilt making from his mother, a Scottish dancer who passed down her native culture and traditions to him and his brothers when they were raised in Atlanta, Ga.
His path to professional kilt maker was a winding one. In 2007, Brown left his job as a software developer at Apple to spend more time with his newborn daughter. Evaluating his employment options, he decided to capitalized on his knowledge about the Scottish American community. Since opening his shop, Brown said he has probably made more than 500 kilts. Nevertheless, this assignment has been a special one, and Brown said that he was looking forward to sharing his cultural heritage and seeing the Music Circus actors sporting his tartan creations. Yes, the dinosaur is Photoshopped, but Goldblum is not. Adam Biesenthal — the photographer behind the shot — told The Huffington Post that Goldblum attended the wedding of Pamela and Jesse Sargent in Toronto this weekend, along with his fiancée Emilie Livingston, who is a friend of the bride. 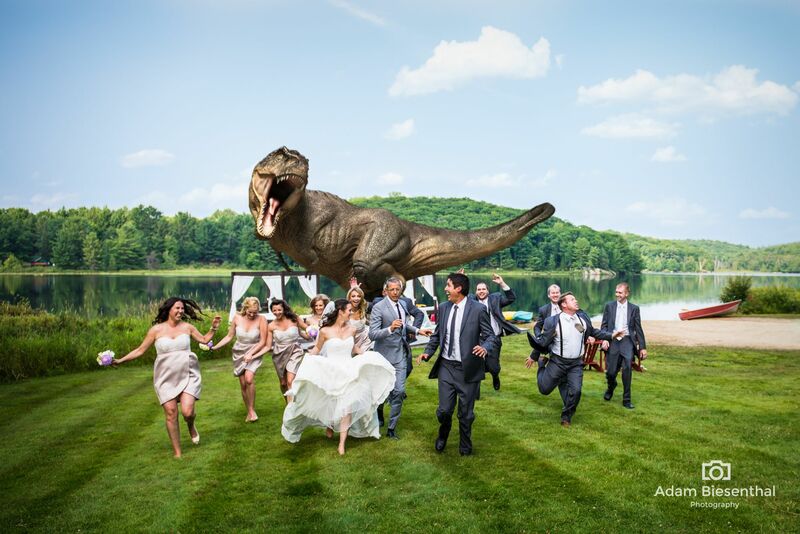 Of course, when it came time to do the classic “run away from a T-rex wedding shot,” who better to have in the pic than Dr. Ian Malcolm himself? The next time you go to a wedding, be sure your hair is done, your lipstick is on, and your Jockeys aren’t sticking out of your pants. You never know if a drone is lurking in the sky about to zoom in and take your picture. No, not those heavily armed aircraft that the United States military uses to patrol the skies over Afghanistan and beyond. Couples having large outdoor weddings have been finding that small, unmanned aerial vehicles, or U.A.V.s, controlled remotely by operators on the ground, can be a useful if sometimes problematic tool for snapping aerial images that capture the entire scene and its participants. No one was endangered at the wedding, other than perhaps the pride of Mr. Maloney, a Democratic representative whose district spans parts of Westchester and Orange Counties and who sits on the House Transportation and Infrastructure Aviation Subcommittee. Because that subcommittee oversees the Federal Aviation Administration, he was taken to task for possibly violating the agency’s guidelines by Nan Hayworth, his Republican challenger in the coming November election. It is true that these small, unmanned aircraft are increasingly being used to locate people in wilderness areas, to inexpensively monitor the health of agricultural fields, and to photograph homes for sale. Wedding photography represents but a small, developing use for them. Emre Tanyolac, the marketing director for S&S Visual in Istanbul, the company that worked on the Matusov-Nommaz wedding, said it has been using drones for about a year. 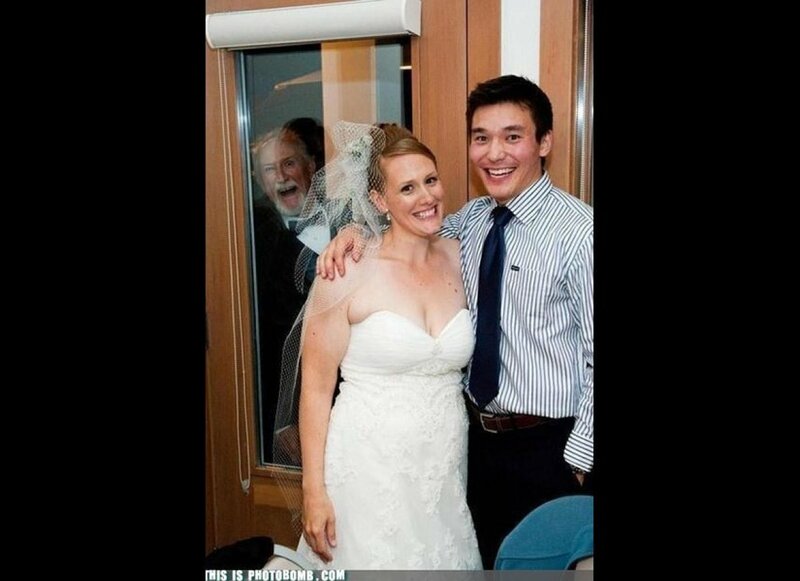 “It shoots ambience of the wedding more effectively than anything else,” he said. Among photographers and videographers, however, drones and weddings are “a hot topic in the industry now,” said Denis Reggie, an Atlanta-based wedding photographer who decidedly has not bought into this technology. “We’ve seen so much information about drones, but they’re not sanctioned by the F.A.A. yet,” he said. Brendan Schulman, a lawyer and special counsel at the law firm Kramer Levin in Manhattan, where he is a litigator with a specialty in unmanned aircraft systems, said: “This is the future of technology. It’s not like an airplane with passengers and fuel on board, and there are no safety issues.” Mr. Schulman, who has represented drone pilots in court when they have been challenged by the F.A.A., reports that Hollywood filmmakers had been using model airplanes for decades, and yet the agency had never issued guidelines. That is until 1981, he said, when it did issue some, including recommending not flying higher than 400 feet or within three miles of an airport. And those were only voluntary, he noted. Then, in 2007, recognizing that businesses were going to be using the machines, the agency put out a “policy statement” about not using model aircraft for “commercial purposes.” But a policy statement is not a law, Mr. Schulman said. 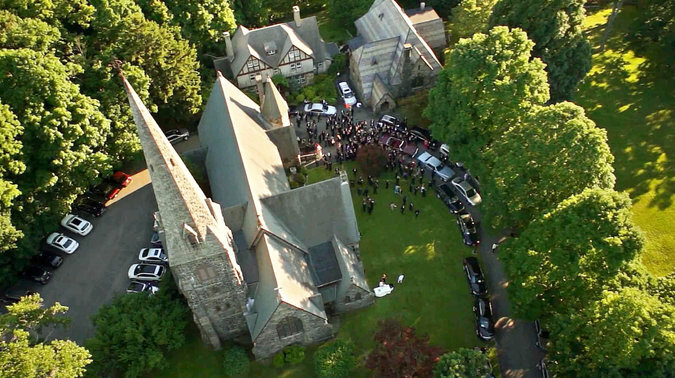 This has sowed confusion among couples and their photographers about using drones at weddings. Nevertheless, the agency and many of the professional photographers who are choosing to add drones to their arsenal of photo gear, like Parker Gyokeres, are on the same page when it comes to safety concerns. Mr. Gyokeres, an active duty United States Air Force photojournalist who was hired as a subcontractor by the Maloney-Florke wedding’s photographer, said, “I always have an abort plan, and I never fly my drone out of my sight.” If he is within five miles of an airport, he contacts the tower and never flies higher than 400 feet. Dale Stierman, the owner of Picture Perfect in Dubuque, Iowa, said, “I like to keep my drone over rocks so if it goes down it doesn’t hurt anyone,” adding that he, like some other photographers, uses a technology built into his machine that can recall it to its takeoff point. Jonathan Mishaan, who was married this spring in Bogotá, Colombia, didn’t mind the noise and thought the resulting overall shots his photographer got were worth the slight annoyance, which he said those who attended soon got used to, in part because so much other activity was going on. Privacy concerns? In an era when most wedding guests are equipped with cellphone cameras or iPads, and all too eager to use them? Mr. Schulman said there was no expectation of privacy anyway for guests. 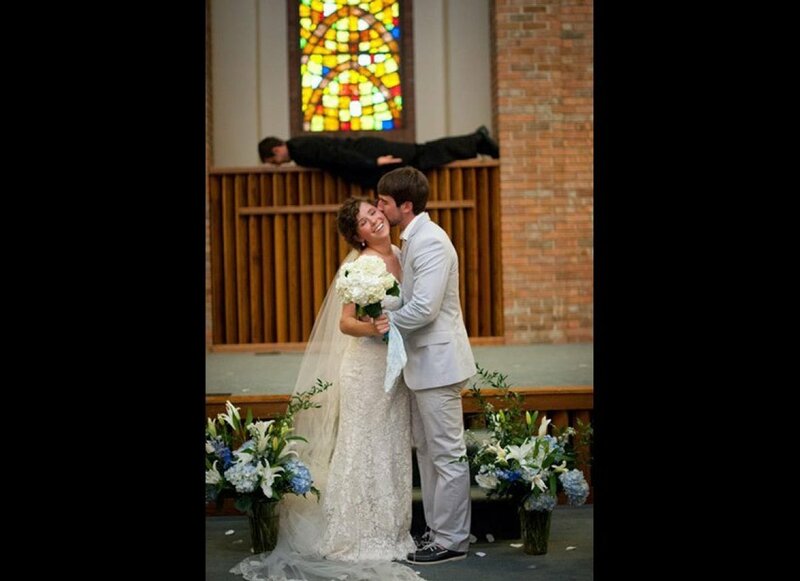 Cameras are now everywhere at a wedding. “It doesn’t matter what technology is used,” he said. Hello, Hayden! Pregnant Hayden Panettiere bared her growing baby bump with her fiance Wladimir Klitschko by her side during a beach outing in Miami, Fla., on Friday, Aug 1. The Nashville actress, 24, wore a chic blue and white striped bikini while catching a tan and kept her blonde locks up in a high bun. Her hunky hubby-to-be, 38, went shirtless, towering above her in neon green swim trunks. Us Weekly broke news in May that the couple were expecting their first child together. One year earlier, Panettiere spoke about having kids with the 6-foot-6 Ukrainian heavyweight boxer in the May 2013 issue of Glamour. “I’ve lived a very big life, and I don’t feel my age, and I feel like I was born to be a mother,” she said at he time. Panettiere’s ABC drama Nashville is set to resume filming season 3 soon, but it’s still unknown whether the mom-to-be’s pregnancy will be written into the storyline. Executive producer Dee Johnson hinted at the possibility during a recent interview with TVGuide.com. Like mother, like daughter! Kim Kardashian shared a series of images via Instagram on Thursday, July 31, from her recent vacation in Mexico. The adorable snaps are of her and her daughter North West at the beach. In the photos, the 33-year-old reality star is seen wearing a cream-colored bikini while her daughter, 13 months, wears a matching cream-colored one-piece. In the second photo, captioned, “#TBT Mexico,” Mrs. West walks into the ocean carrying Nori while the sun beams down on them. In a third snap, the proud mom shows off her famous derriere. “#TBT bye beach #PuntaMita #Mexico,” the E! star captioned an image of herself carrying North back into the luxurious beach house, her backside on full display. Aside from enjoying the sand and ocean, Kardashian previously shared on Instagram that her daughter took her first steps and completed swimming lessons while at the Mexican oasis. “Our baby girl finished one week of swimming lessons today then took her 1st steps right when she got out of the pool!!!! Mommy & Daddy are so proud of you!!! !” she captioned a cute snap of herself kissing North, who looked adorable wrapped in a yellow towel on July 23.